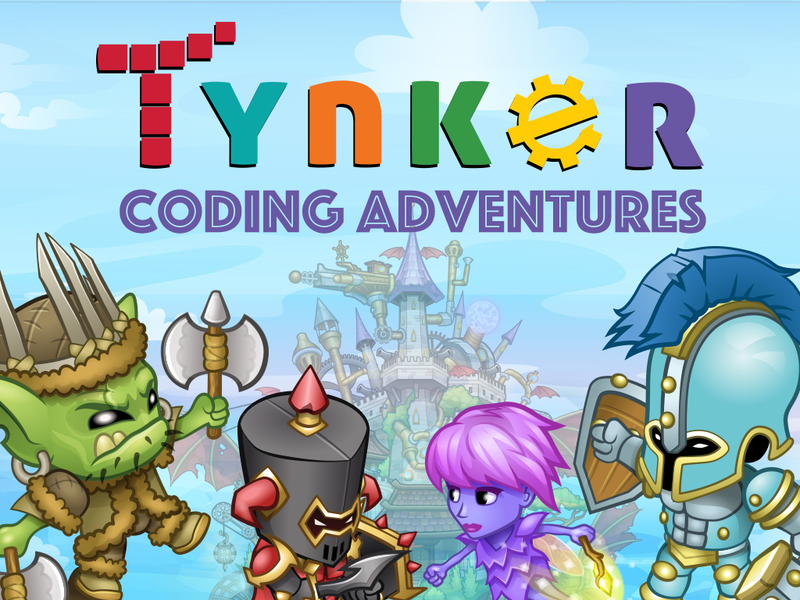 Tynker is a guided learning system that teaches kids to code. Young learners begin coding with visual blocks, then progress to text-based coding as they build mobile games, fly mini drones, modify Minecraft, and much more. 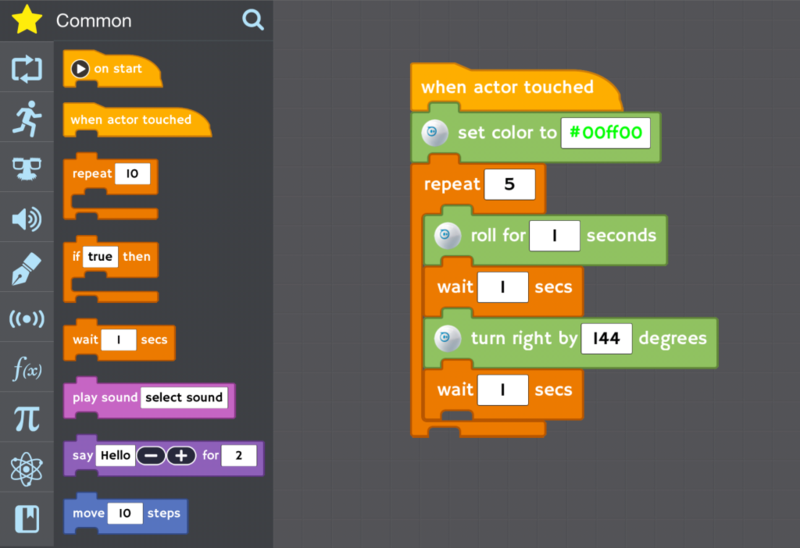 Instead of typing the source code, kids visually drag blocks of code and snap them together. The visual design and principles are based on the free Scratch, just like Hopscotch and Snap. Lessons are designed to guide kids on a path to earning cool new badges. In each lesson kids engage with interactive learning modules, mini-games, coding projects and puzzles. It brings in animations and game-like interface so that kids actually learn the logic of code without really learning code. Since last year, the adoption has been quite a proof of its effectiveness. 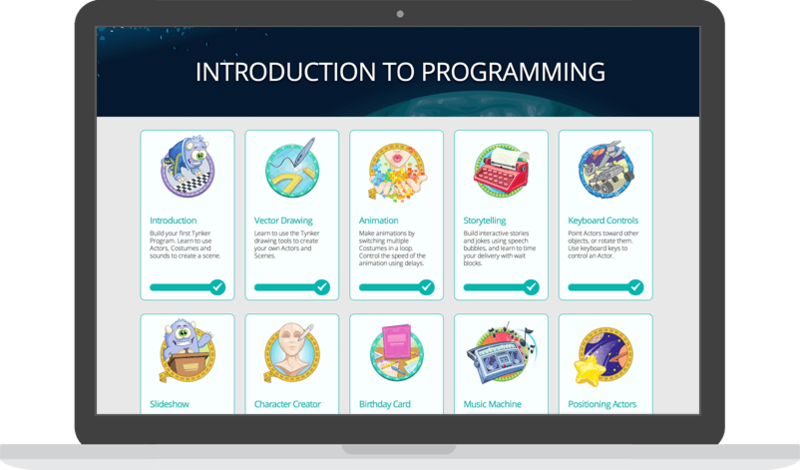 Tynker has been used in hundreds of schools across the country to teach programming to kids ranging from the 3rd grade to 9th grade and others. A free version lets kids try one puzzle and then purchase others individually or all as an in-app purchase. Alternatively, the full version can be bought as well. Kids can replay levels if they fail, with hints to improve their “code.” Kids need to be independent readers since instructions are written. the programming instruction is free (via the Hour of Code mentioned above), the company also offers a number of really cool “modules” called Coding Adventures for sale that provide instruction in a bundle-like download. Modules are available for three skill levels (Beginner, Intermediate, Advanced) and stack so that the skills you pick up in earlier modules apply to the later ones. Each module provides instruction for programming a complete game — and many of these games are quite advanced in their gameplay. Right now, they have several of these Coding Adventures available for 6 USD/month subscription fee.